Think of viruses and malware and you’ll be forgiven in thinking they just apply to Windows platforms. Wrong. Now that the Android platform is the world’s most widely used smartphone and tablet operating system, the poor old green robot is now being targeted from all sides, from the phishing scammers, script kiddies and professional viral code writers alike. Enter the brilliant avast! 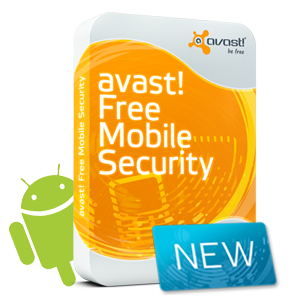 Free Mobile Security software for Android. Czech Republic based Avast Software have been producing brilliant antivirus software for many years on both the Windows and Mac platforms. Now they venture to the Android platform and are offering a totally free (and non-time limited) mobile security app for your Android device, available from Google Play store..
Anti-theft control – locate and recover your lost Android device! It’s not often I rave about a free app, but avast! Free Mobile Security is a brilliant app for any Android device, from version 2.1 up to version 4.x or higher.